It was Pravin’s turn, and the crowd anticipated a showdown of sixes and fours.And did their wish come true, as he hit the first ball for four. Unfortunately, he was caught on a simple ball off the leg. The Xento batting line-up was being tested. 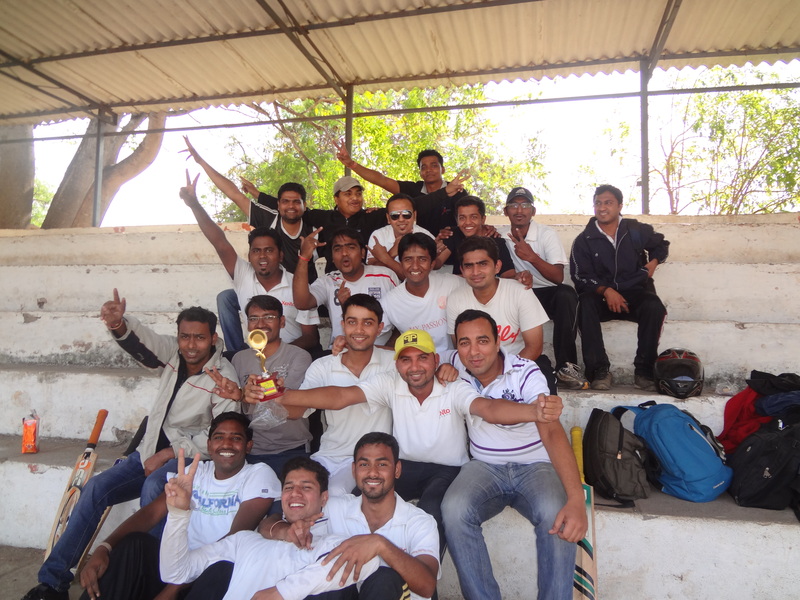 With wickets falling at such regular intervals, EQ were pumped up. Milind C. entered the field, with all the exhaustion from previous night’s dancing at the Bash. A four set the tone for what was going to be a showcase of brilliance with bat and ball. Vijay displayed his batting skills by hitting a long six. Unfortunately, he was caught on the off side to a strong hit, scoring 17 off 18. Mohit was next to bat and hit a four to add to the total to score his first runs, but got caught when trying to hit for the boundary. Milind continued the rare display of patience and skills in the field. It was boundary, followed by taking singles and couples. The excellent inning came to an end with 3 fours, under such pressure. Milind scored 18 off 19 balls. Ashish T. hit a straight four to add to the total. The Xento inning came to an end with a decent total of 71. It was the test of the bowling strength. There had to be no mistakes from the bowling end, as even a single over could have made a huge difference. Pravin started the 2nd inning with the new ball and for a single run and a straight catch to Vijay on the third ball, uplifted the spirits of Xento supporters. Vipin was the man to bowl the second over. First ball and a straight catch to Pravin in the long-on. The pressure started creeping up on the batting side as both openers were sent back in the hut. Vipin got a wicket in his second over, succumbing to a catch again. The batting side was so pressurized that they were afraid to even put their bat on the ball’s way, when Pravin bowled. The spectacular showcase of disciplined bowling, continued throughout the inning, with wickets falling at regular intervals. The boundaries went scarce and he batsmen started crumbling under pressure. In an attempt to score boundaries, EQ’s wickets kept falling. Mohit in his debut over, swigged in such a manner, that it was catch directly to him. 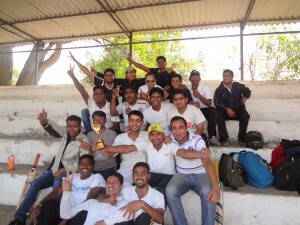 Milind took a wicket to seal his “Man of the Match” trophy. The inning ended with 2 wickets in the bag for Pravin and Vipin each. EQ managed to score a mere 46 off 12 overs. The balling side kept the wickets under check and Xento sailed comfortably to another heroic win.